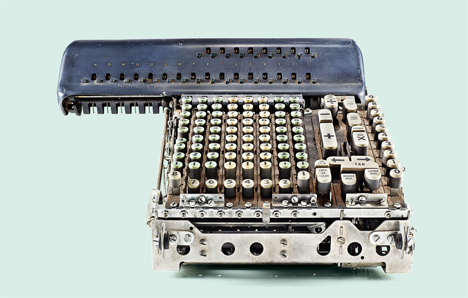 If you open up a calculator, cell phone, or any other piece of modern technology, you’ll see a lot of circuits and high-tech stuff, but not much that can be considered attractive or even interesting. 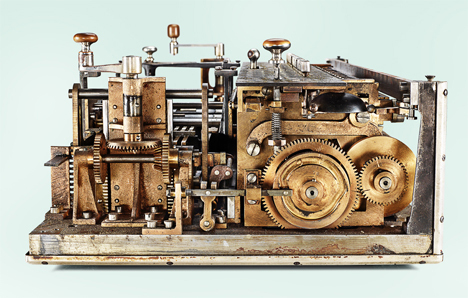 Old mechanical devices were just so much more fascinating. 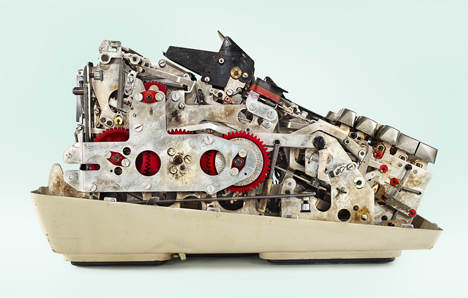 Their endless moving parts and huge metal guts were beautiful and complex in a way that no modern technology can match. 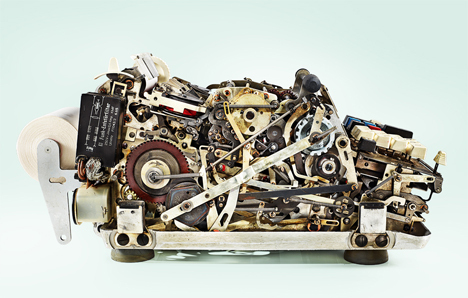 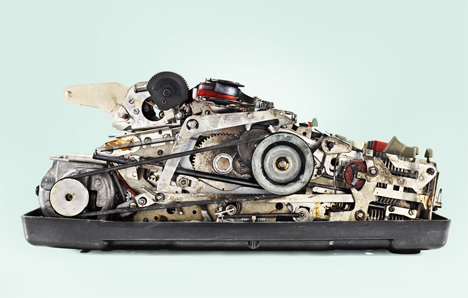 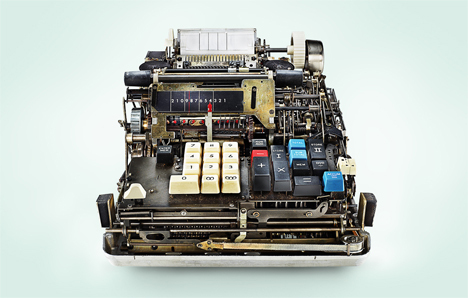 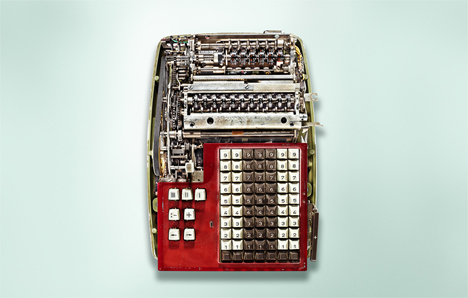 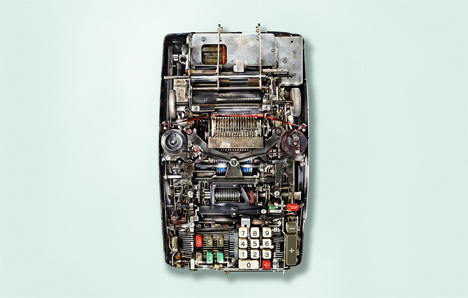 Photographer Kevin Twomey sees the strangely lovely mechanical hearts of antique calculators. 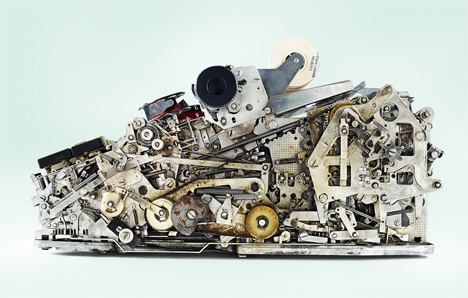 These aged adding machines come from the collection of Mark Glusker, a mechanical engineer who collects the old machines. 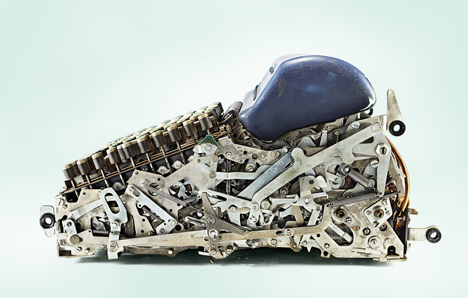 Glusker asked Twomey to photograph his collection, and the photographer was struck with inspiration when his friend removed the cover of one to show him the inner workings. 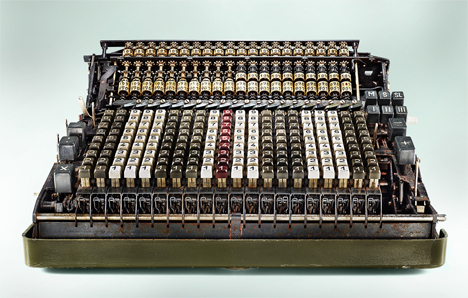 Although they had planned to photograph the calculators dressed and in full working order, the direction of the project quickly changed. 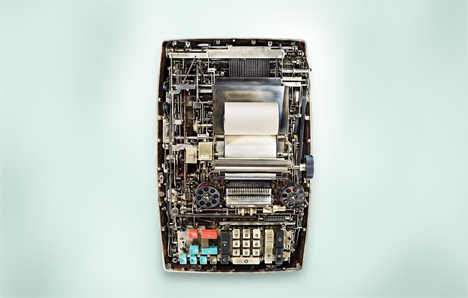 The series, simply entitled “Calculators,” showcases the complex internal technology of machines that predate the sleek, high-tech pocket computers we know and love today. 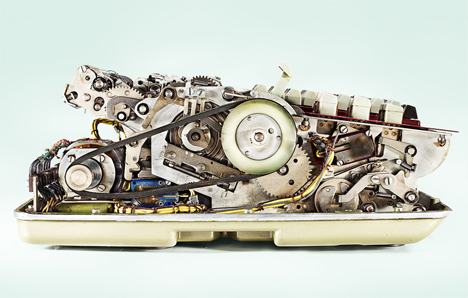 For those of us who have grown up without the joy of taking apart and reassembling real household machines, these 1960s calculators and their hundreds of moving parts are a rare visual treat.